Slip on ladies house shoe. EE fitting, Sizes 3-8. Colours pink, blue. 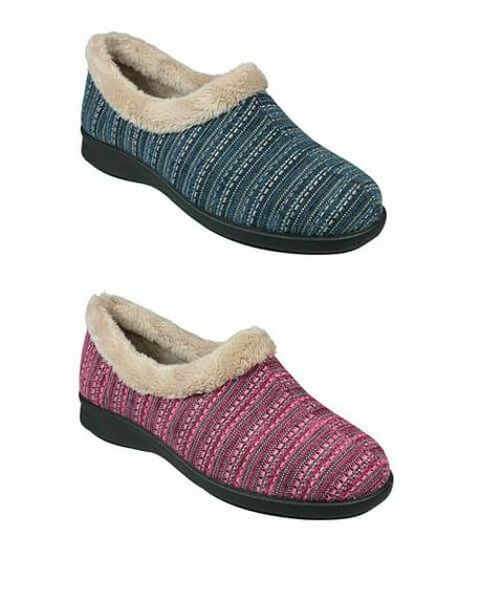 Ladies fur trim slip on house shoe is structured to allow that extra support and comfort. Hardwearing flexible sole is suitable for outdoor wear. Contrasting fur trim collar with stitched detail. EE fitting. Blue, Pink.